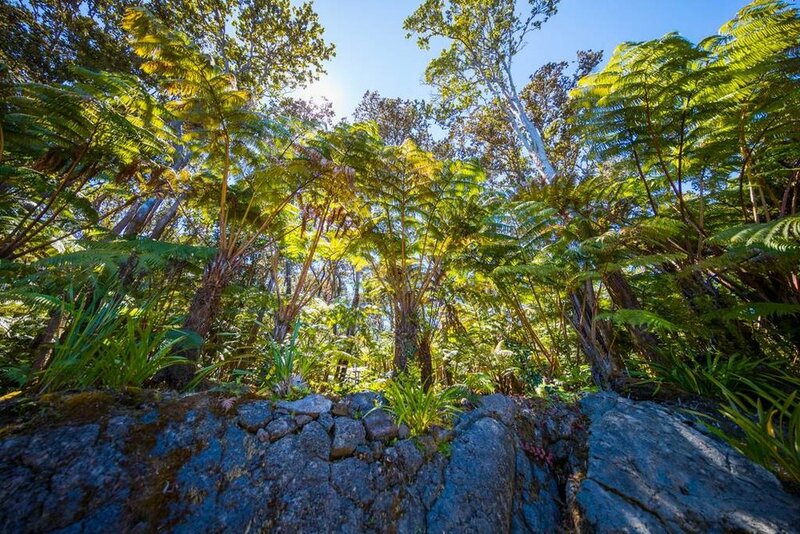 Let the fragrant mist of the rainforest welcome you to Hale Onaona. 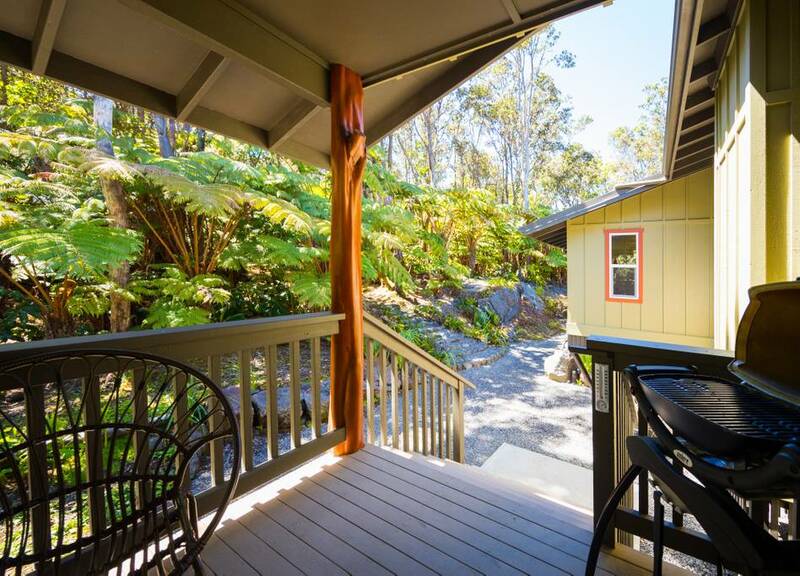 Conveniently located on a quiet, beautiful street in Volcano Village and just a mile from Hawaii Volcanoes National Park. 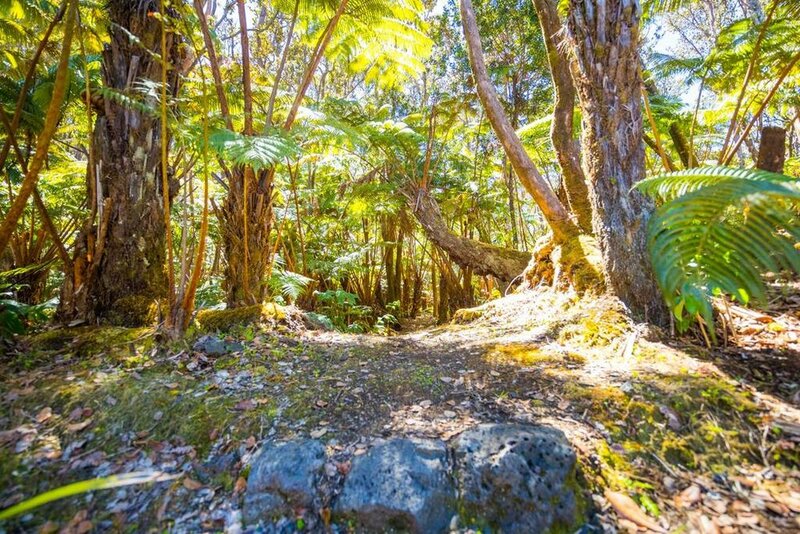 This custom-built home is nestled within an ancient Ohia Forest surrounded by huge Hapu'u ferns, with private outdoor seating and lovely rainforest trails. All the amenities to satisfy the most discriminating tastes, including luxurious bed & bath linen. The bedroom is equipped with a queen-sized bed and, with the single balinese daybed in the living room, this house comfortably sleeps up to 3 guests. The spacious bathroom features a whirpool bathtub, walk-in shower and double deluxe vanity, while in the living room, you'll find a native stone gas fireplace, large sofa and diverse collection of Hawaiian books and music. Free high-speed WiFi and laptop friendly workspace available. The open kitchen is equipped with every imaginable comfort, granite counters and a large skylight, while the sliding doors off the kitchen and dining area lead to a private covered deck with outdoor seating and WEBER grill. If you'd rather chill than grill, we're just around the corner from the best restaurants in the Volcano area, reachable by 15 minutes on foot or 3 minutes by car.. Explore the private rainforest on the property or enjoy a cup of coffee and a book, tucked into the cozy window cubby off the dining room. There is a spacious laundry room available for guests staying 3 nights or more. Come savor the flavor of our tropical rainforest retreat at Hale Onaona! Perfect for couples, artists, and honeymooners! Prices: Low season: $150.00 per night (double occupancy). High season: $160 per night (double occupancy). Rooms: 1BD/1BA. Master bedroom with queen, full punee sofa in living room. Amenities: FREE high speed wireless internet, lava rock gas fireplace, WEBER grill, jetted bathtub, walk-in shower, cd player and a collection of Hawaiian cds and books, gourmet kitchen with ceramic, cook top stove, side refrigerator, microwave oven, toaster oven, coffee maker, CuisineArt blender, rice cooker, gourmet cookware, knives and utensils, designer porcelain dinnerware, wine and cocktail barware, luxurious bed linen and European goose down comforter, luxurious hotel collection bath towels, hair dryer. Parking: Free (uncovered) parking available.